IT is set to become one of the most exclusive golf projects in Europe. The purchase of emblematic Valderrama golf course by the development company Zagaleta is the fusing of two prestigious Spanish giants. A new megaproject, taking in 200 hectares of rolling virgin hillside, in the Castellar municipality, is the perfect sign that the Spanish property market is finally booming again. 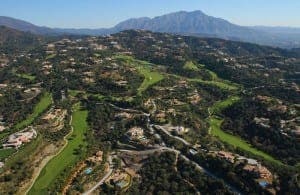 Zagaleta, just outside Marbella, is Spain’s most luxurious residential development counting Hugh Grant and the mayor of Moscow among its residents, while Valderrama’s golf course has known international prestige since it hosted the 1997 Ryder Cup as well as the now defunct Volvo Masters. Developers Zagaleta Limited, based in London, are the new landlords of the Valderrama group including the golf club in San Roque, as well as an expanse of land in the neighbouring Castellar municipality. The Valderrama Golf Club are now tenants of Zagaleta and have the lease of the club until 2050 and will continue to control its runnings. The Valderrama purchase itself is reported to be €40 million, while the total investment, building another Championship golf complex ‘of the highest level’ is set to reach around €240 million. The project, called ‘Valderrama 2’, is set to include a hotel and possibly some residential homes built to the standard in La Zagaleta’s, where homes start from around €3 million and where President Putin of Russia is said to own property. The project will unfold over the next decade, and La Zagaleta group has expressed its cooperation with the Real Club Valderrama, to preserve the exclusivity that the brand has built up over many years to become a European landmark. Hmm. I thought the Putin rumour had been quashed long ago! What is not mentioned is that most of the properties on La Zagaleta are on sale. 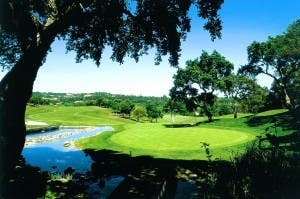 As for privacy at Valderrama how will that work with a large hotel and residential development….huh! are they for sale because the rumour is true ? ‘Developers Zagaleta Limited, based in London, have purchased the Valderrama group including the golf course in San Roque, as well as an expanse of land in the neighbouring Castellar municipality.’ If the latter is true, then the Rio Hozgarganta will be crossed by the planned Valderrama 2 project. Therefor parts of the typical Spanish rural landscape besides San Martín de Tesorillo will disappear and will be replaced by another boring foreclosed and water consuming golf course for the upper class.